A couple of weeks ago, my husband and I got to have a date weekend in the Raleigh/Durham area so we did a lot of relaxing, a lot of eating, and a lot of shopping during our kid-free time. I love my sweet children dearly but shopping with them isn't always the best experience... which is why I typically stick to beloved online shopping! During our shopping trip, I visited my first real Lilly store and it was just as beautiful as I would have imagined! Beautifully painted walls, bold, bright colors, and the cutest dressing rooms I've ever seen. 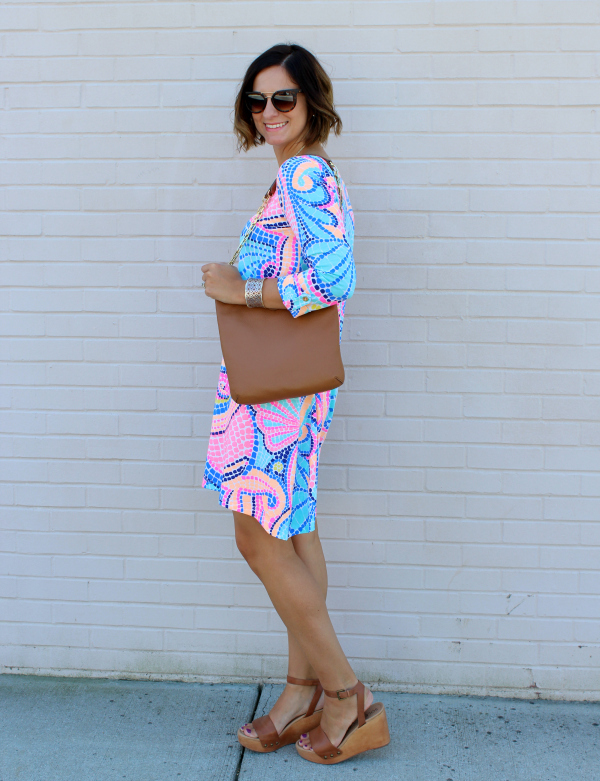 While I was there I tried on the Lilly Pulitzer Edna Dress in the Tile Wave print and I fell in love with it immediately! 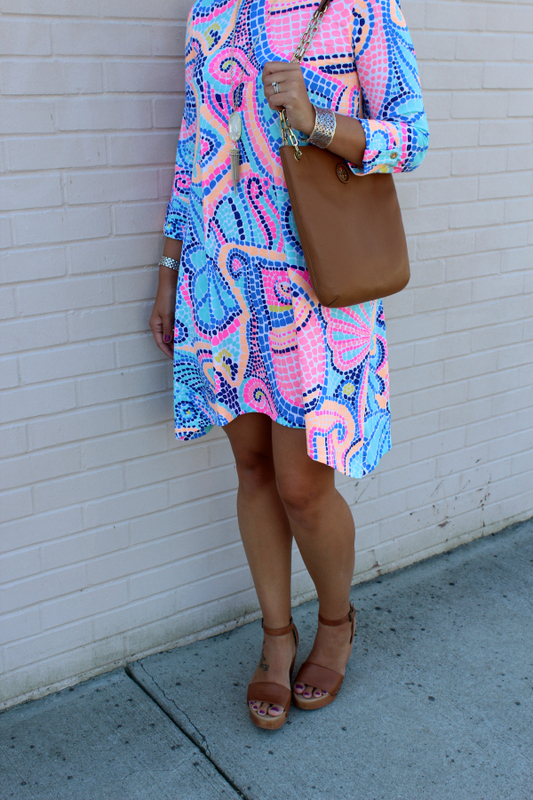 At the time, I actually didn't own any Lilly dresses but this one stole my heart. But I didn't buy the dress. I ended up purchasing a zip-up sweatshirt that was on sale but left the dress behind. 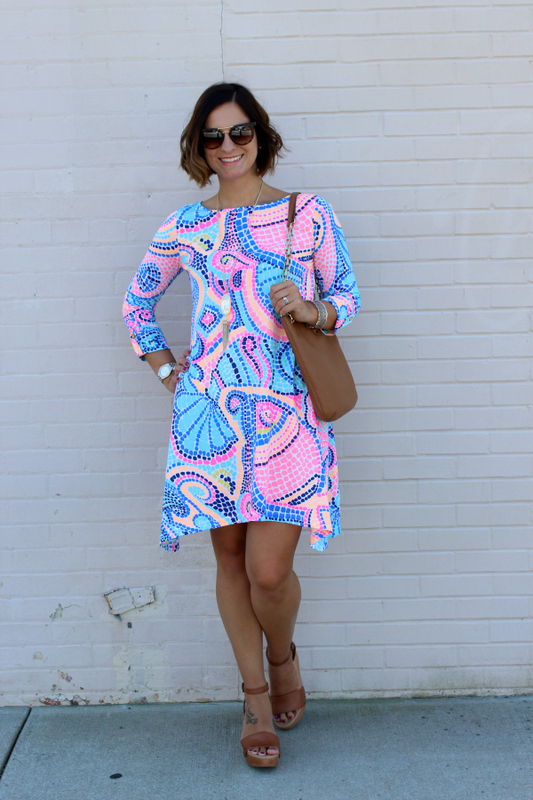 And of course, five days later, I had severe non-buyers remorse and ordered the dress online. This dress makes me feel so beautiful! 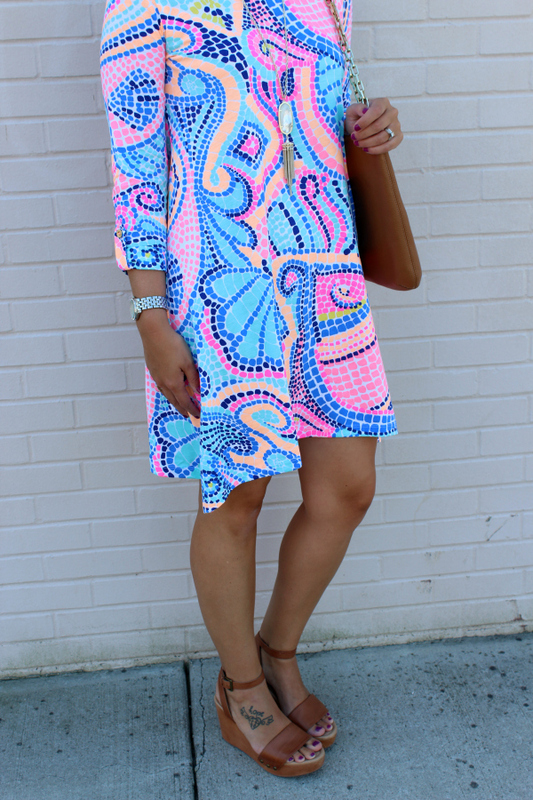 I love the hemline, the vibrant print, and the fabric feels amazing! When you find a dress that makes you feel good, you gotta buy the dress. That is a gorgeous dress! And you look beautiful in it! !